RBTH presents a selection of views from leading Russian media on the latest developments in Ukraine, including analysis of Moscow’s objections to the wording of Ukraine’s EU association agreement, the formation of a new Ukrainian political party, and a speech made by Ukrainian President Petro Poroshenko on September 10. 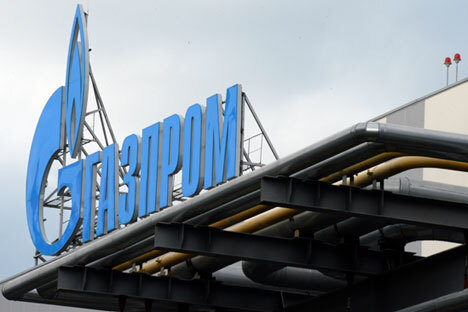 According to Alexei Grivach, a representative of the Russian National Energy Security Fund, Gazprom’s policy simultaneously heightens pressure on the Ukrainians while demonstrating to the European Union that the important gas issue has yet to be resolved. Official delegates from Ukraine, Russia, and the EU are scheduled to meet in Brussels on Friday, September 12, where they will discuss the terms of Ukraine’s association with the EU. Nezavisimaya Gazeta reports that Moscow, displeased with the current wording of the association agreement, has already submitted a long list of desired changes to Kiev. “Moscow proposes excluding more than 2,300 categories of goods from free trade between Europe and Ukraine,” the publication writes. In Russia’s opinion, Ukraine should keep customs duties on those goods. The Russian authorities think that the current version of the agreement poses economic threats to Russia and the entire market of the Customs Union. By receiving duty-free goods from Europe and simultaneously taking advantage of the free trade regime within the CIS, Ukraine will be able to flood the Customs Union with cheap European goods, which would inflict a painful blow to the economies of the Customs Union states. In order to avoid this, Russia is threatening to cancel the free trade regime for Ukraine. Commenting on the situation for Nezavisimaya Gazeta, Alexei Portansky, a leading research fellow at the Institute of World Economy and International Relations at the Russian Academy of Sciences, said that Russia’s list of 2,300 types of goods “is aimed not so much at shielding the domestic market from unwanted re-exports as it is at delaying the negotiations on Ukraine’s association with the EU.” In his opinion, Russia is not expecting Kiev to acquiesce and accept what is a rather lengthy list of goods excluded from the future free trade regime with Europe. Rather, it is striving to slow down Ukraine’s migration towards the EU as much as possible. Gazeta.ru analyzes the establishment of a new political party in Ukraine: the People’s Front, headed by Prime Minister Arseniy Yatsenyuk. Besides Yatsenyuk, the People’s Front Party counts other famous Ukrainian politicians among its ranks, including Verkhovna Rada speaker Oleksandr Turchynov, several ministers from the Yatsenyuk government, commanders of volunteer battalions that fought in the Donbass, and Maidan heroes. Director of the Kiev Institute of Global Strategy Vadim Karasev is convinced that “this is the party of the Cabinet of Ministers,” in competition with the president’s party and offering a more radical, more military agenda, in favor of waging war in the Donbass until Kiev emerges victorious. Karasev thinks that the decision by Yatsenyuk and his allies to create this party is evidence of a continuing schism among the politicians who supported Maidan. “Maidan formed against Yanukovych, and now other interests have emerged behind the scenes,” the political scientist said. According to him, the People’s Front does not anticipate a stunning success at the parliamentary elections because there are more popular parties, such as the president’s Petro Poroshenko Bloc, Yulia Tymoshenko’s Batkivshchyna, and Oleh Lyashko’s Radical Party. The newspaper Moskovsky Komsomolets analyzes Ukrainian President Petro Poroshenko’s speech at a Cabinet of Ministers meeting on September 10. During his speech, the president said that Ukraine will not “make any concessions on the question of its territorial integrity” and that it will remain a unitary state. Poroshenko said that the “line of contact” with the Donetsk and Lugansk separatists and the border with Russia need to be strengthened. In the newspaper’s opinion, these statements indicate that Kiev has no intention of fulfilling the agreement signed in Minsk on September 5, and that it is merely using the ceasefire to transport its troops. Journalists in south-eastern Ukraine say that there is a grouping near Mariupol consisting of 300 tanks, 32 of which are imported. Poroshenko himself is not hiding the fact that troops are being reinforced. “We, as military men, are guided by one rule: If you want peace, prepare for war. For us, this period is an opportunity to strengthen in all areas, from logistics to utilities, which are being built, to strengthen human resources. For us, the truce is a preparation for potential processes that could occur as a result of the truce being violated,” Poroshenko said.